A few weeks ago, BrightEdge did a webinar that was 90% Q&A and we got more questions than we could answer in the hour we had. So we picked out a number of them to answer below. What are the most important technical SEO tactics to check for? Broken links, lack of correct redirect commands, broken images, slow page load time, and robots.txt errors would be the things I would be most concerned with. Thoughts on GTLDs, especially exact match that seem to be ranking well… (home loans, vacation rentals, design studio etc…) any opinion on using new domain names that match searches? Top level domains, or TLDs, are weak or null signals for ranking. It is better to focus on your traditional TLDs and avoid generic top-level domains or GTLDs. Many years ago TLDs were a strong signal but Google adjusted that. Each time a URL is changed, should we maintain a 301 redirect for every changed URL? Yes, you must always write a server-side 301 when you change URLs. You should maintain the 301s through multiple generations of URL changes unless you can prove that no links exist and no traffic are finding their way to the older URLs. Google has said that they adjusted the algorithm so it does not penalize 301 redirect hops. How can a small service (local restaurant, band, small business) gain authority and land real leads. Should they prospect local directories, focus on Google My Business, etc.? SEO is the largest channel at an average of 51% share for most sites and Google accounts for about 90% of US search traffic, so that should be priority 1. 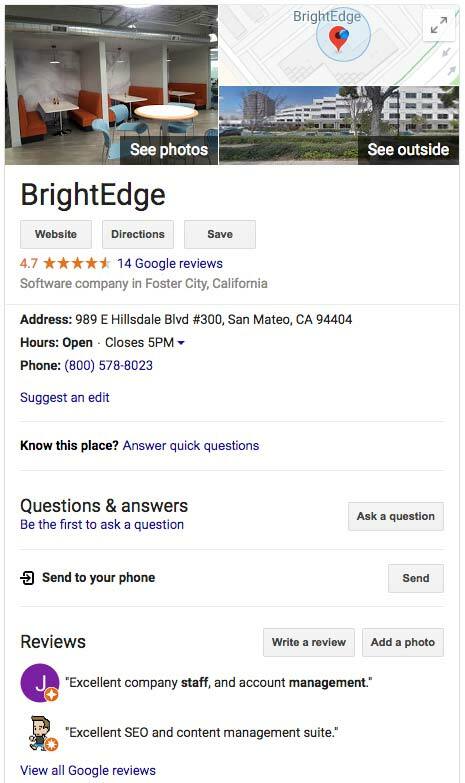 Within that, yes Google My Business is the right place to invest to secure local traffic, but it requires you to have a physical address and be well reviewed in Google Reviews. Local directories or vertical search engines in your space could also be effective for referring well-qualified traffic. Google My Business (GMB) – Is there a formula or rule of thumb you might recommend for ROI on management time / business location to optimize results for an org that has many independent locations with different hours, service variants, capacities? If you have many physical locations, Local is an excellent opportunity to push above national brands and suppliers who do not have local presence. There is no hard-and-fast rule of thumb on how to allocate time, but this should be a top priority to populate and then additional effort should be determined by progress and traffic from the last round of effort. You mention that images are great to improve ranking. But the number of images can also cause slow loading, which negatively impacts ranking. So is it best to use more images or not? Right, adding images should help with ranking and user engagement, so we recommend 2 to 3 per page. The images absolutely need to be optimized for the Web and should be under 50k each. Make sure to optimize the images for SEO. What is the best strategy to move from page 2 to page 1 on google search results? We have an informational product page and the product is also available to order through our ecommerce store. At BrightEdge we call these “striking-distance keywords” and they present a great opportunity to gain traffic. On-page optimization is the right strategy to move up an existing page. What Key Performance Indicators are your top 3 for branded campaigns? What are some of the most interesting/exciting new combined metrics/ KPIs (leading, lagging) you have seen businesses optimizing against within SEO or to take SEO metrics into other channels for making business outcome decisions? I think the biggest point of intersection for SEO is user experience. To help you remember that point think of another definition of SEO as Site Experience Optimization. SEOs can help with organization, menus, nav, calls to action, and technical site performance. Devloping KPIs around that extended area will be interesting and effective. I’m tracking hundreds of keywords for 2 large B2B properties, and have been considering creating a “weighted average” of keyword rankings to include as a way to get a snapshot of overall health of a particular subcategory of pages. Two questions – do you do something like this, and if you do use some sort of weighted average for some of your KW reporting, could you share ideas on how you weight? For example, weighted by search volume, CPC, position on first page. Yes, absolutely. The BrightEdge platform does this with Data Cube score for the whole domain and any keywords can be added to a keyword group to track performance. Have you ever experimented with calling promotions out in a meta description or page title? (ex: sitewide 30% off sale) would you recommend? Yes, I have and offers and sales usually can give you a bump. It will work better for longer term promotions than short ones because it is hard to time when the new description will be crawled and indexed and also hard to get it down from the SERPs if you need to end to promo suddenly if you, for example, sell out of product. Is it better to use a sub-directory or sub-domain for additional content, such as a blog? Sub-directory is better, so brightedge.com/blog is better than blog.brightedge.com. When in comes to on-page SEO, I’ve been having more success with academic content pieces than promotional landing pages. Is it fair to assume that providing added value content works best than promotional pages? And do the later require more effort like link building? Yes the true content pages are longer and more authoritative. They are more likely to earn links and will rank better and engage visitors better than promo pages. Do Latent Semantic Indexing (LSI) keywords play a great role in the search intent and semantics taken into account by Google and Rank Brain? Yes, Google understands your content and your site in context and covering a topic thoroughly on multiple pages will make all the pages rank better. It is useful to think in topic clusters and create multiple assets related to the topic on different urls, for example a cluster made up of, natural disasters > earthquakes, hurricanes, tornadoes, floods, droughts, fires, mudslides, and tidal waves would do better than one long page on only one or two of the topics.